extensive economic and political risk ratings and analysis, macroeconomic analysis and forecasts, and financial analysis of debt and equity. 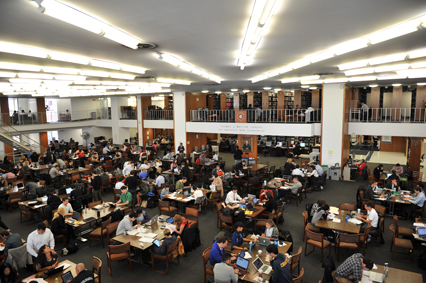 This entry was posted in Columbia University Libraries, Databases, research help and tagged Databases, research help on May 28, 2015 by Kathleen. Passport Cities provides fully-comparable data and analysis on 1,150 of the world’s largest cities and includes reviews of 127 of the world’s major metropolitan areas. Passport cities is available through the Euromonitor Passport database. Click on the “Countries & Consumers” tab and then choose “Cities”. This entry was posted in Databases, research help and tagged Databases, research help on March 26, 2015 by Kathleen. CB Insights provides daily real-time information about venture capital and angel investor backed start-up companies, venture capital companies, angel investors and transactions in the United States. An account is required. Please use your Columbia email when registering for an account. 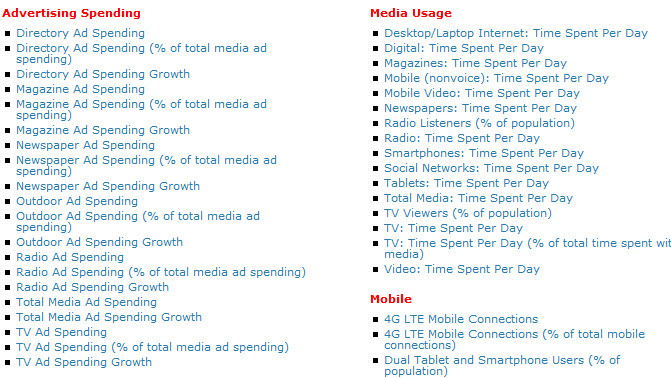 eMarketer aggregates research from the fields of digital marketing and media. This entry was posted in Columbia University Libraries, Databases and tagged Databases on November 26, 2014 by Kathleen.